The British Chamber of Commerce found that over 75% of UK businesses experience a shortage in digital skills, which means that having a career in web development can be rather lucrative and also bring you a lot of space to really explore how you can grow. 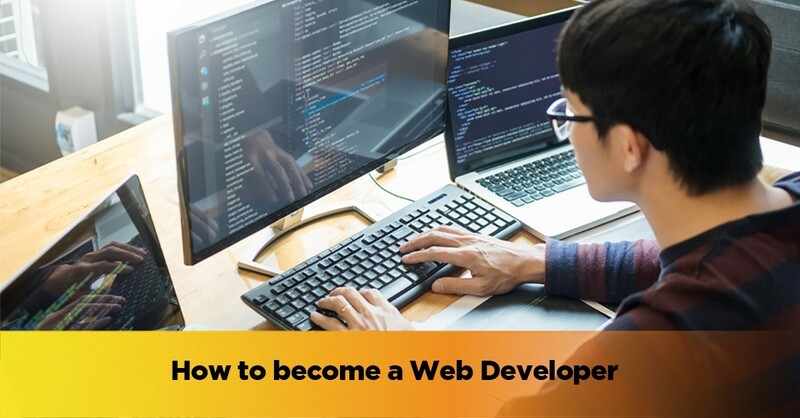 If you want to know how to become a web developer, our guide below can help you whether you are a fresher just out of school or you have graduated in studying web development. Web developers are also known as web programmers or coders. They will essentially build a site working on the functionality, visible structure and the interactivity of the site. The context for this construction will usually be provided by the designers and other personnel with key roles. As a web developer you will also be responsible for making sure that a site functions in the right way on all the browsers that it may be accessed on and across all devices. Once that site has gone live, you will carry out all the updates needed and maintain other daily tasks as needed. Is a Web Developer and a Web Designer the Same Position? The roles of both these positions may be interdependent but they are also different in terms of the skills required and the duties that are expected of each respective position. Web designers will work on developing the aesthetic elements of a site such as visuals, imagery and graphic designs, they will use software such as Photoshop and Illustrator for these purposes. On the other hand, web developers will take the design from a designer and then create a functioning website out of it. Web developers can also be divided into front end and back end developers. Back end developers are responsible for creating the logic by which runs on a server that will involve creating the communication with the database and data manipulation. They will then pass this on to the browser where it will presented to the user. Languages usually used are PHP, Ruby, ASP and SQL. Web developers do not need to be designers. 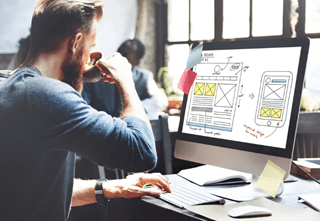 But knowing and understanding what the user will see it as and gaining an idea about their user experience can help you work better on the functionality component as well. What Qualifications Would You Need to Become a Web Developer? There are no formal degrees and the lies, required in the UK to become a web developer but at the same time, qualifications that can help you perform your tasks are definitely looked at. After all, it is not a profession that can just be shadow trained overnight. In order to become a web developer you must understand that this profession is highly specialised. 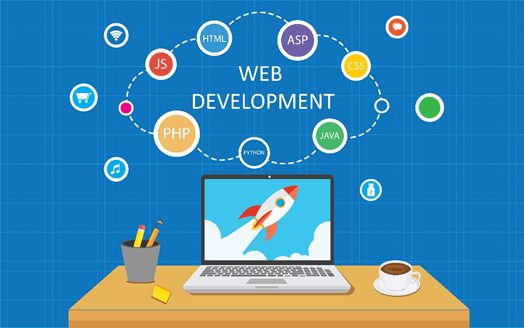 You can also learn web development online from accredited education providers that will act as an added advantage and help you find the right employment. When you look for web development courses always make sure that they are industry recognised so that you will be able to make use of what you are learning. One of the best ways to keep your skills upgraded always is to invest in ongoing self-learning. You can easily look for online web development courses that can help you study from home and gain the knowledge that you need. Look for online courses to become a web developer that are affordable and also does not require you to commit to just one program of study for years. Rather opt for short programs if possible that will still be recognised and help you make use of your knowledge sooner. Roughly according to Payscale, a web developer in UK may earn about £24,915 in a year. However, this also greatly changes according to the kind of experience that you have, your qualifications, references even and sometimes the software that you specialise in. 0 responses on "How to Become a Web Developer"